A hotel is accused of discriminating against homeless people after cancelling their Christmas booking. 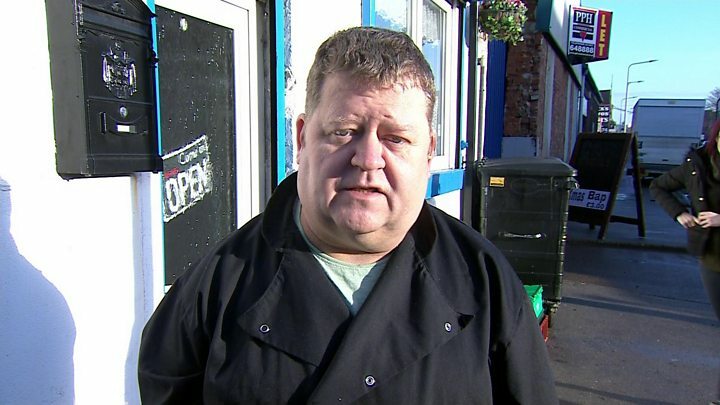 Carl Simpson, of Raise the Roof Homeless Project, says he was "gutted" when the Royal Hotel in Hull cancelled the £1,092 booking without explanation. The hotel later said the reason was that it had been told about damage to rooms during the group's Christmas booking at an Ibis hotel last year. Raise the Roof says the allegations are "lies". Ibis has also denied the claim. Raise the Roof told the BBC it booked 14 twin rooms for 28 people in twin rooms - hoping to build on the success of last year's event at the Ibis. It said The Royal Hotel originally accepted the booking, and that it had not attempted to conceal the guests' backgrounds. In a Facebook post on Saturday evening, Mr Simpson said he had been hoping to repeat "the success of last Christmas" when he was able to book 28 people into an Ibis hotel for two nights. "After the stay they were so grateful. Some left staff gifts using the very little money they had, and one asked if he could vacuum the rooms to show his appreciation. "This means the world to homeless people. Last year we had tears of joy from someone who stood on the edge of the Humber Bridge the night before. "We have to break the news to people that the hotel has been cancelled." Mr Simpson said he was yet to receive a refund for the booking, and so was unable to rebook another hotel, adding: "We need a miracle." Since his Mr Simpson's original Facebook post, the news of the cancelled booking where it has been shared by more than 1,000 people and online fundraising for the group has received a £6,000 boost. Speaking to the BBC's Victoria Derbyshire programme earlier, he said: "I wasn't really aware we'd reached that. That's amazing. We just need the rooms now. "There are lots of reasons people become homeless, not just the ones they seem to be labelled with," Mr Simpson said. "We see people from family break-ups and ex-servicemen." The Facebook post has inspired others to try to help the homeless this Christmas. Beckie Stewart writes: "Aren't there people willing to bring in one or two on Christmas eve? I'm sleeping over at my mum's so I'm happy to offer a room."